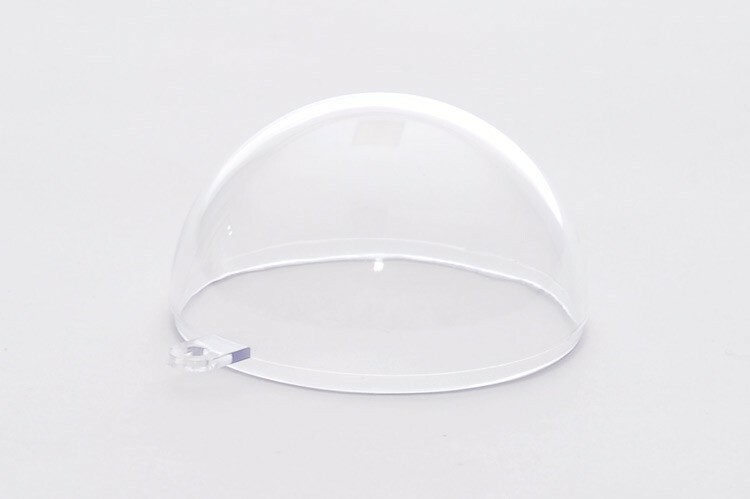 The bottom dome for the Finwing Penguin V2, a glass-like clear canopy made from high tensile crash and scratch resistant 2mm thick acrylic, keeping your camera safe from impact damage. The dome base diameter is 50mm, and it stands 30mm high providing ample room for housing the lens of a Go Pro or small FPV camera. 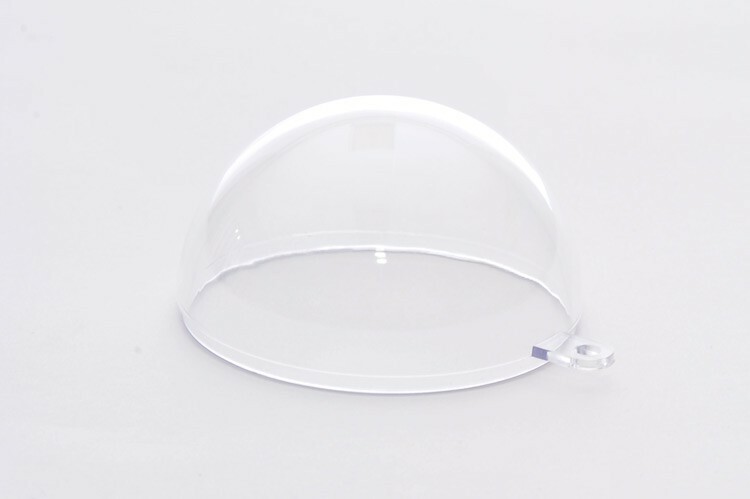 The dome can glued into place and/or mounted by a screw, via the bracket moulded as part of the dome.